I spent the early part of 2009 working on a renovation that ended up transforming a home. I don't usually publish a whole lot of my work here, but I'm particularly proud of this one. 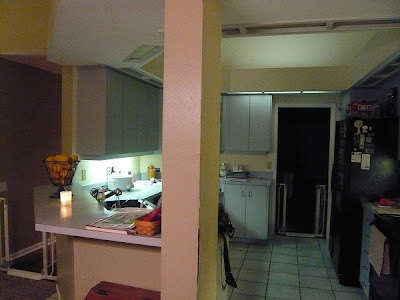 The kitchen was shoved into that space on the left side of the compound angle wall. Compound angle walls are a particular pet peeve of mine and I couldn't wait to get in there and bring some efficiency and some decent sight lines to this family's life. Once I started drawing, I removed the angles and drew in a very large island. The island needed to do a couple of things. It had to hold the sink and the dishwasher of course, but I also had to be able to hide a big espresso and coffee machine. The appliance in question is 17 inches tall, and I knew a normal raised bar wasn't going to cut it. I called in my favorite contractor Tim Brandt from TNC Builders and we started hashing out a plan to remove everything I wanted to remove. 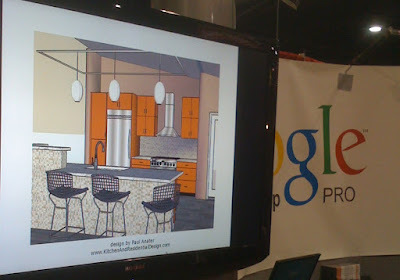 At around the same time that I was playing around with layouts, my pals at Google SketchUp asked me if I had a model they could use at their trade show booth at KBIS in Atlanta and the AIA show in San Francisco. So I sent them one of my early concept drawings. This was pretty early into the process and my clients hadn't even seen it yet. It was helpful to get an idea out there though. By the time I had everything worked out, my idea had changed a little but the concept was pretty set. Here's what I showed my clients and what they signed off on. The raised section on the left side finished off at 54 tall as measured from the floor to the top of the counter. I specified a wide-style Shaker cabinet door in cherry with a dark brown, nearly black stain on it. This is pretty close to the stain color. 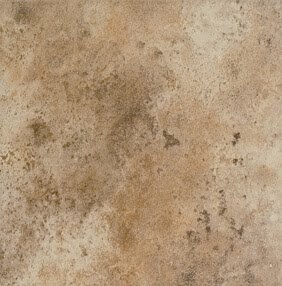 The floors were going to get a travertine-looking porcelain. I picked a 19" tile and I wanted it to be set on the diagonal through the whole back of the house. The final tile was one very similar to this one from Mohawk. I still like blue and brown color combinations, despite the conventional wisdom about them. So when it came to lighting, I looked to my old standbys, Besa Lighting. This is Besa's Sasha II line-voltage halogen and the shade is in their Granite glass. I also used a flexible monorail from W.A.C. The enormous island was showing a lot of back and I thought it would be a great canvas to cover in a glass tile. This is Montana from Emenee and I ended up wrapping every exposed inch of the island and the back wall in it. 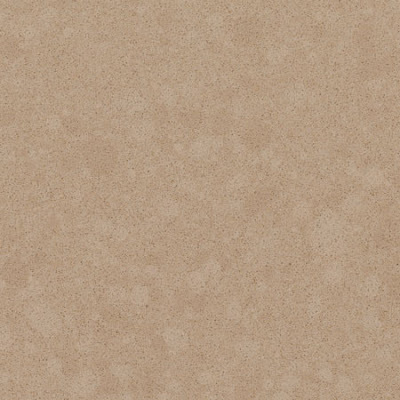 The counter is a sand-colored quartz composite from Cambria. 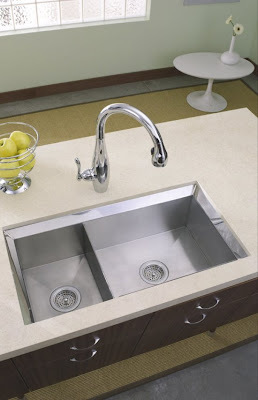 The kitchen faucet is the Clairette by Kohler and the sink is the Poise, also by Kohler. The hardware is a steel bar pull from Schaub and Company, the bar stools are the Radius from Room and Board and the appliances are from KitchenAid. Hmmm, I think I have everything covered now. So without further ado, here's how the room ended up. And If you remember the first photo at the beginning of the post, I took it while I was standing at the dinette. Well, here's that same perspective now. 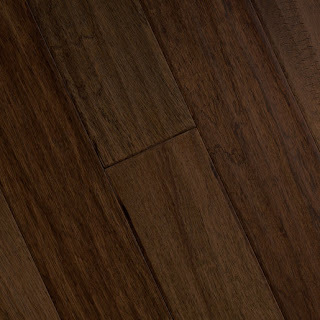 Back in July, I wrote a post about a floor transition I'd designed and was very happy about. 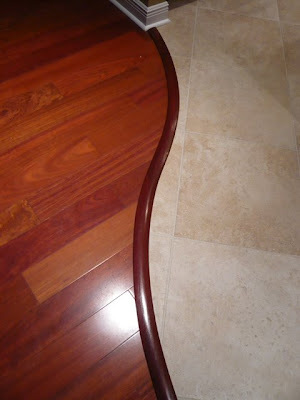 Here's the photo of my S curve transition. Well, that transition was done for this project. It's kind of hard to see but the flexible track on the range and refrigerator side of the kitchen has the same S curve as the transition between the kitchen and the dining room has. Pretty slick if I may say so myself. 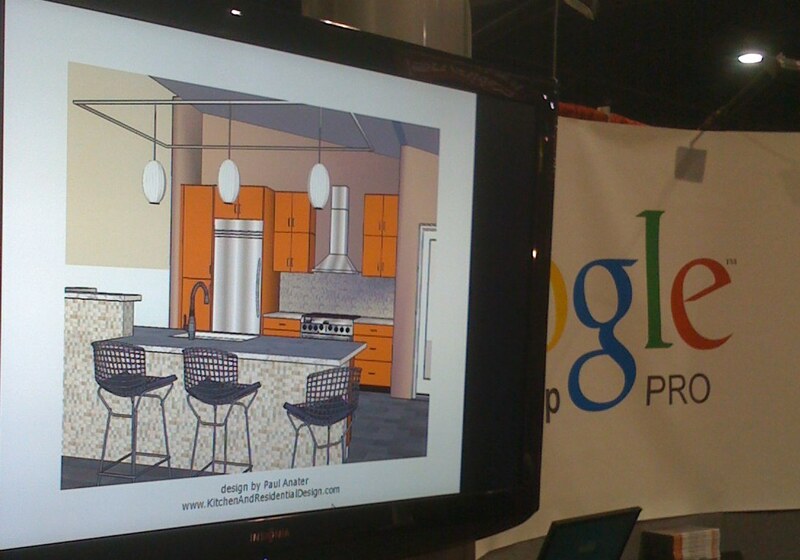 So bottom line, my clients spent somewhere around $60,000 for this entire project. That included a significant amount of construction as well as removing the popcorn ceilings from everywhere in the house. We were within the range of our original budget before the add-ons got added on. We started the tear out in May of '09 and walked out for the last time the first week in July. That's a nine week completion and we brought it in on budget. And that is about as full a description of what I do as I can muster. You may now leave glowing comments. Hah! And may I be the first. What a makeover! Love it. I wish that I could afford you and your foresight in design. Thanks for sharing this case study: it is good-looking and informative. Nice job opening up the crazy original angles! I hope a lot of people get to see it here. I love before & afters - more more more please!!! Oh, & do you do English houses?! Rosalba: Thanks! We can set up a trade for my services and a stay in Positano any time! Actually undertaking a construction project in Positano makes my head hurt, but I think the setting would be ample compensation for the trouble. 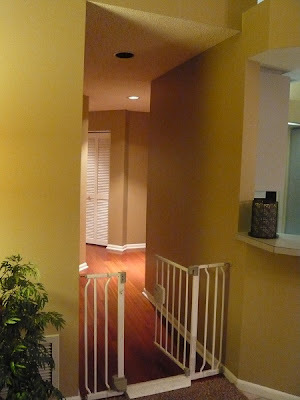 Have you ever done any construction on your place there? I've always wondered how anybody gets things like that done in a place as inaccessible as Positano. Chuck: Thanks, coming from you that's high praise indeed. I value your opinion. Style Police: Houses in the English style or houses in England? Yes to both. That fluttering sound you hear is the rose petals being scattered at your feet. All hail the Conquering Designer! Able to leap tall compound walls in a single bound. I'll stop now. Awww thanks Nancie. And Rachele, I will never understand six month renovations. I can't stand having them hanging over my head and I can't complete them fast enough. I have a feeling that you don't go over budget or over time very often either. wow- that's some transformation! kudos! Christian: thanks. I don't post my own work very often because I can't stand feeling so exposed. Thanks for the positive words, it means the world to hear it from other designers I respect. It's always SO rewarding to see before and after shots like that! Thanks for helping the rest of us with inspiration! Thanks Nick, it's a real pleasure when everything comes together, isn't it? Good job! It looks so easy after the project is completed, doesn't it? I remember you discussing that floor transition and envying your craftsperson. So satisfying when it's done! Beautiful, just beautiful. love the blue and brown. My favorite element? The glass tile on the island body. Thanks Kelly. It's true. What you can't see in the photos are the many times I woke up in the middle of the night convinced I'd ordered something in the wrong finish or in the wrong size. Phew! No war stories to tell after this one! And thank you Elizabeth. The blue wall color I used is significantly more muted than it appears in the photo. I do love me a near-neutral blue. 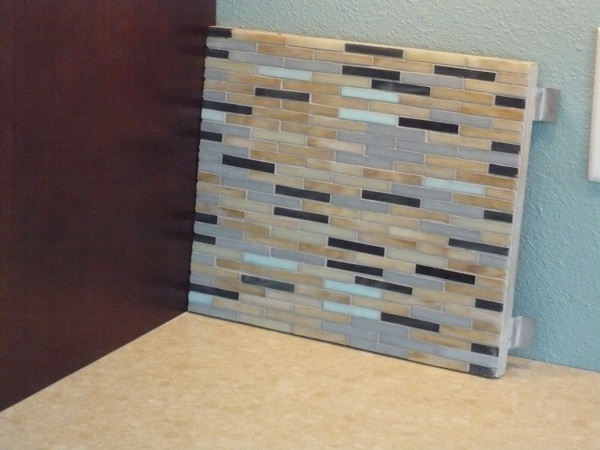 I love using tile in places other than just back splashes too. Great transformation - I love that you can see right through to the view, but at the same time the kitchen is contained by the raised counter. Awesome! BTW what is the conventional wisdom on blue and brown, anyway? Thanks! The conventional wisdom is that it's "dated." As if it's possible to do anything permanent without dating it instantly. Done well, "dated" is a good thing indeed. WOW Paul! That's an awesome project! I love your material choices and details. You are truly a designer's designer! Thank Pam, I've been saying it all day but there is nothing quite so satisfying as good feedback from my peers. Stunning! I love it. Each review you do of your work makes me appreciate your eye, talent, and honed skill even more. Too funny on the notion of blue and brown being dated. I should have known that 6 mos ago before investing in my teal blue and chocolate dining room rug. Thanks Rae! Blue and brown takes a lot of guff but it will be around for a while. It never really goes away, it just falls off the pages of Met Home every couple of years. Oh wait a minute, Met Home's already gone but brown and blue marches on. So you did an entire kitchen reno with demo and construction and new everything in 9 weeks -- and I'm into month #7 of a simple kitchen makeover with no demo or construction required. What's wrong with this picture?! Well, that's easy Kelly. One of the two scenarios you presented involved a contract with me! Applaud, applaud! Beautiful work Paul. 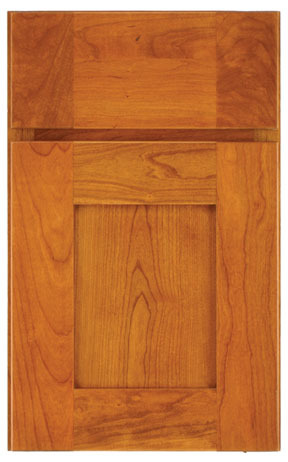 Loving the semi-tall cabinets on the island to hide the small appliances -- as well as the tile on the island :) You rock Paul, you rock. Thanks Adrienne. I cannot wait to hang with you in New York next month. Weeeee! Love, love, love it! More before and afters, please.